Seattle is following a national trend in reducing recess time in primary grades as school districts obsess about raising test scores, writes guest columnist Jesse Hagopian. Seattle Public Schools’ decision to allow high schools to opt out of the Measures of Academic Progress is only a partial victory. Educators need to rethink how assessment are used to the benefit of students. Garfield teachers believe students should be evaluated based on what they are learning in the classroom, writes guest columnist Jesse Hagopian. If my name were Chrysler, would you give me a bailout? While we bail out the Big Three U.S. automakers, no one’s coming to the rescue of our financially strapped public schools. 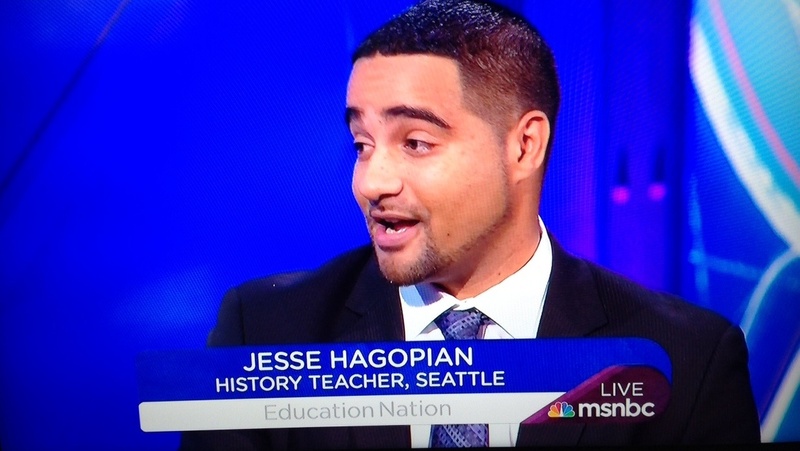 Washington state lawmakers failed their responsibility to the state’s students by eroding support for education, writes Seattle teacher Jesse Hagopian. He proposes an income tax on people earning more than $250,000 — an idea recent polls say Americans largely support. Shuttering a school is more than mothballing a brick-and-mortar edifice — it is hanging a closed sign on the hopes of a community, argue Jesse D. Hagopian and Andre Helmstetter of the Educators, Students and Parents for a Better Vision of the Seattle Schools. Instead of closing schools, Seattle Public Schools needs a plan for delivering the kind quality education that will woo families back to the public schools along with per-pupil state funding. A year after a 7.0 earthquake devastated Haiti, much of the pledged assistance still has not reached the Haitian people. Guest columnist Jesse Hagopian writes about what still needs to be done.